Cars have become a necessity for daily operations. From home to office, from office to weekend trips vehicles have become an integral part of our life. So do the car loans available in the market. Cars have become a necessity for daily operations. From home to office, from office to weekend trips vehicles have become an integral part of our life. So do the car loans available in the market. Many websites claim that they offer best deals on car loans as compared to others. It is generally overlooked, but the simplest way to trim down the car loan is to negotiate the car price you are seeking for. Dealers have a sizeable margin on each fresh unit sold. So do check the car prices across various dealers and check out the offers available on it. In the end, the price of the car goes down resulting in a drop in the amount of loan required. As you look for the best price for the car, you should also look for the best deal possible for the bank loan. Often the dealers discourage the buyers to seek a loan from other banks, but in a majority of cases, the loan deals provided by dealers are not the best one in the market. 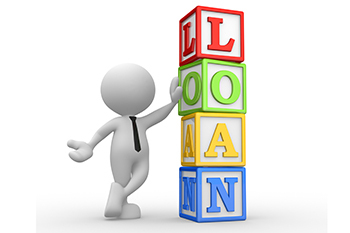 So do visit various banks for the best rate for a car loan before you land up paying hefty interest on the car. Keep a check on the credit reports. There may be some discrepancies due to which the bank is charging a higher rate of interest. Go through the credit report and if you detect such discrepancies get in touch with the credit rating authority and sort it out. The credit score also helps to gauge financially where you stand.